WHAT IS A WELDING INSPECTOR? Welding Inspectors employ their extensive knowledge of welding processes, test methods, discontinuities, materials, qualifications, and standards to ensure that weldments and welding related activities comply with all applicable quality and safety criteria. The role of the welding inspector is critical to the safety and structural soundness of the vast number of buildings, vehicles, machinery and consumer products that require strong, secure welds. Nearly all of the essentials of modern life are welded or made by welded machinery. The Welding Inspector’s efforts to ensure the integrity of welds is therefore vital to the economic well-being of a nation and the safety of its people. A viable modern economy and the relatively high standard of living that it provides would simply not be possible without properly inspected welded structures, vehicles, and machines to generate, store, and transport food, fuel, and products to a multitude of individuals and businesses across the world. WHAT CAREER OPPORTUNITIES ARE AVAILABLE TO WELDING INSPECTORS? 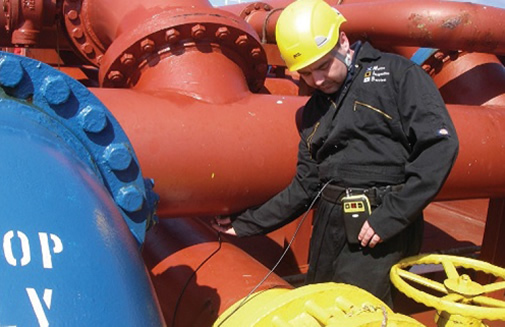 Welding Inspectors are an integral part of every industry that uses welding as a core process in the manufacture, construction, or fabrication of their products. Therefore, Welding Inspectors have the option of working in industries as diverse as aerospace, shipbuilding, automotive, railroad, electronics, defense, mining, construction, manufacturing, precision instruments, medical products, oil and gas, and nuclear energy. The comprehensive body of knowledge and skills required of Welding Inspectors also opens the door to other occupations in welding. For example, with some pedagogical training, Welding Inspectors are perfectly suited to the role of Welding Educator. The Welding Inspector’s organizational skills and familiarity with welding operations and standards also serve as a solid foundation for a position as a Welding Supervisor or Administrator. Those Welding Inspectors with especially good communications skills and business acumen can also use their extensive knowledge of welding processes, base materials, and welding consumables to branch out into Welding Sales and Service. There is no single path to becoming a successful Welding Inspector. However, you will need a post-secondary degree or vocational instruction as well as on-the-job training to obtain the full range of knowledge and skills required to accomplish the technical and logistical aspects of the job. The AWS B5.1 Specification for the Qualification of Welding Inspectors lists the education and experience requirements as well as the duties and capabilities required of an AWS Certified Welding Inspector. Use this specification as a guide to help you determine the learning and employment opportunities that can best prepare you for entry into the field. Step by step – how do I become a CWI? 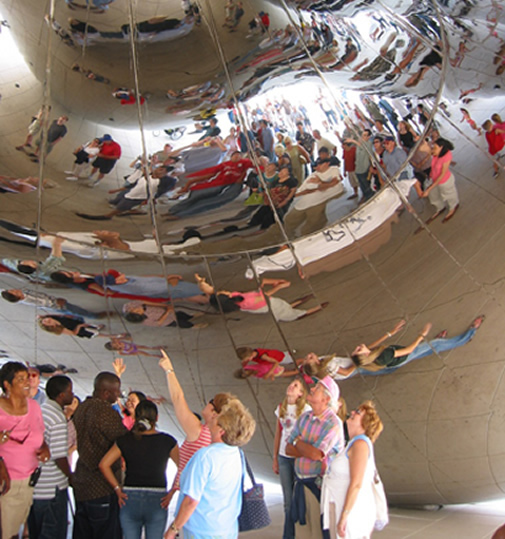 When British artist Anish Kapoor’s liquid mercury-inspired design, “Cloud Gate,” landed in the hands of stainless steel builders, more than 100 metal fabricators, engineers, technicians, and welders were employed to turn invention into execution. Standing 33ft high and 66ft long, the unique shape of the structure posed various challenges for the welders. They had to skillfully weld together 168 stainless steel plates, some weighing as much as 1,500 pounds, and leave no visible seams. Named for its highly polished stainless steel plates that reflects the Chicago skyline, Cloud Gate underwent sophisticated processes that included laser scanning, hand grinding sheets, and even ceramic sandpaper. From 2004–2006, plates were fabricated and polished, suspension systems were built, and more importantly, seams were welded to near perfection. 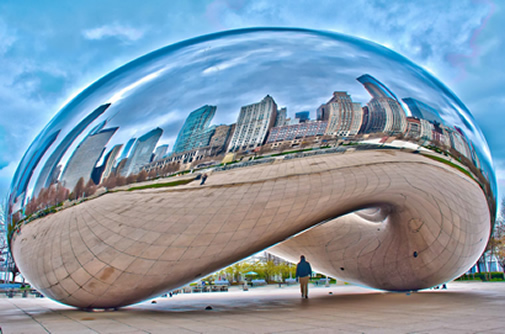 Before the sleek, impressive Cloud Gate in Chicago became available for public viewing in 2006, the trustworthiness of its structure rested in the hands of a Welding Inspector. The bean-like shape of the structure could not be deemed complete until checks were made for any cracks or flaws that may cause the structure to shift or fall. As a testament to the excellent workmanship performed by workers and welders alike, Cloud Gate was awarded with the Outstanding Achievement in Welding Award by the American Welding Society in 2007. Welding Inspectors ensure that weldments and welding related activities comply with all applicable quality and safety criteria. To accomplish that objective they must perform many different tasks. In general Welding Inspectors perform inspections to determine if a weldment meets the acceptance criteria of a specific code or standard; monitor the welding process in order to ensure that the welders are qualified and that the equipment, materials, welding variables and welding conditions meet all applicable safety and quality criteria; and verify that records are maintained and conform to the requirements of the applicable standards. More specifically, the Welding Inspector’s duties can be summarized based on the order in which they are performed: (1) before welding, (2) during welding, and (3) after welding. BEFORE: Before welding can commence Welding Inspectors must ensure that the correct iteration of the applicable code or standard is being employed. They must confirm that the Welding Procedure Specification, welder qualifications and engineer drawings are valid and that the welding equipment has been properly calibrated and maintained. Welding Inspectors must also verify the type, size, quality, and condition of materials and consumables before they can be used. Finally, the welding inspector must inspect the welding set-up, review the welding machine settings, and confirm that the work has been properly prepared. DURING: During welding, inspectors will keep an eye on the use of consumables and make sure that welding variables such as voltage, amperage, and travel speed comply with the WPS. They will also inspect the quality of individual weld passes, ensuring proper interpass cleaning and temperature, as well as the correct placement and sequence of each pass. 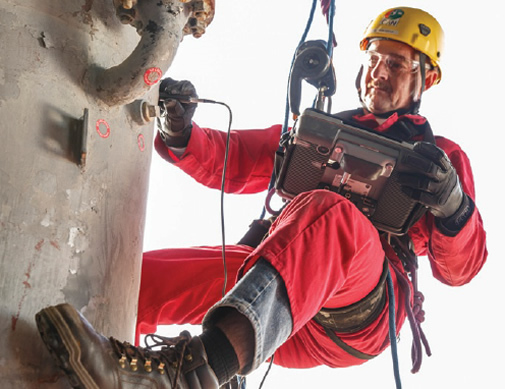 In some instances, they may also need to check backgouged surfaces, monitor in process nondestructive tests, determine the suitability of welding operations based on weather conditions, or verify a compliance issue specific to the requirements of a particular project. AFTER: After Welding, Inspectors will visually inspect the weld, checking for dimensional accuracy and proper appearance. Welding Inspectors may also use other methods, such as radiographic or ultrasonic inspection, to identify possible defects. If a weld needs to be repaired, Welding Inspectors must approve the repair and re-welding procedures, monitor the re-welding process, and re-inspect the weld, to ensure compliance with the applicable codes or standards. In some cases the inspector is required to monitor post-weld heat treatment, or other post-weld work. 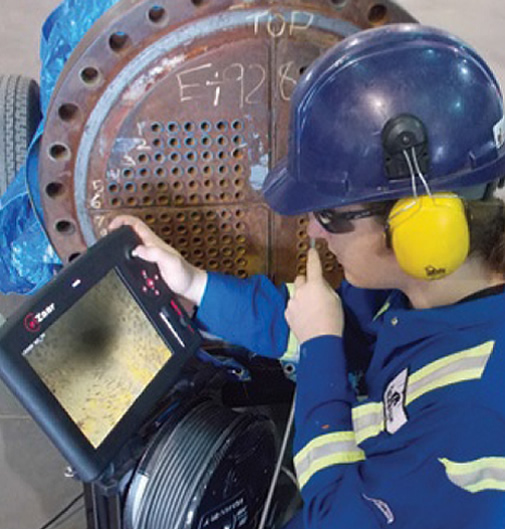 After the process is completed welding inspectors must prepare inspection reports. The education requirements for a Welding Inspector vary by employer. However, most employers require some combination of education and work experience. An AWS certification, a post-secondary degree, or a combination of vocational instruction and on-the-job training is typically required to ensure that candidates have the full range of knowledge and skills necessary to accomplish the technical and logistical aspects of the job. The Education and Experience Requirements in Clause 5.2 of AWS B5.1: Specification for the Qualification of Welding Inspectors can serve as a guide to help you determine the programs and courses that can best prepare you for a career as a Welding Inspector. Most employers require a fair amount of work experience in addition to educational certificates and degrees. The Qualifying Experience requirements in Clause 5.5 of AWS B5.1: Specification for the Qualification of Welding Inspectors can serve as a guide to help you determine the type of experience that can best prepare you for a career as a Welding Inspector. 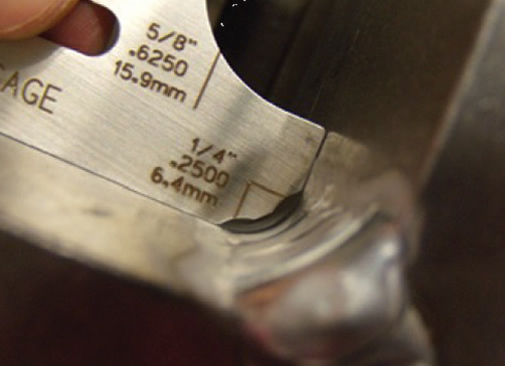 For example, in order to qualify for AWS certification, the prospective Welding Inspector must obtain experience in an occupational function with a direct relationship to weldments fabricated to national or international standards and be directly involved in one or more of the activities described in Clause 5.5 of the AWS B5.1 Specification. These activities cover a relatively wide range of knowledge points and skills, including, but not limited to: the development of plans and procedures, the supervision of welders, the detection and measurement of discontinuities, the use of quality systems, and the teaching of practical welding skills. While not always required, certifications that attest to the soundness of an individual’s knowledge and skills can bolster their professional standing and increase opportunities for employment in a competitive job market. How do I Become a Certified Welding Inspector? The certification is an internationally recognized credential that companies have come to rely on to ensure the quality and safety of their products. AWS certification confirms an individual’s ability to direct and perform the operations required of a Welding Inspector in accordance with the high standards encompassed in AWS QC1: Standard for AWS Certification of Welding Inspectors and AWS B5.1: Specification for the Qualification of Welding Inspectors. Therefore, AWS Certification often translates into opportunities for increased recognition, responsibility, and pay. Download complimentary copies of AWS B5.1: Specification for the Qualification of Welding Inspectors and the AWS QC1 Standard for AWS Certification of Welding Inspectors from the AWS website. Both documents outline every aspect of the CWI program and exam. The B5.1 Specification covers the skills and knowledge required of a CWI, while the QC1 Standard provides a detailed overview of the CWI exam requirements and process. B. Review Table 1 of the B5.1 Specification and perform a self-assessment. Mark the areas where your level of competence compares to a working CWI. Any areas left unmarked will indicate where you will most likely need additional knowledge, training or experience. Determine if you qualify to sit for the AWS Certified Welding Inspector Exam. A combination of education and work experience is required to qualify. For example, if you have a high school diploma with no vocational courses, you’ll need a minimum of 5 years work experience. However, if you have an Associate’s degree in engineering, engineering technology, or physical sciences, you’ll only need 3 years of work experience to qualify. For a detailed summary of the education and experience requirements, review Clause 5.2 of the B5.1 Specification. Obtain the skills, knowledge, and experience required of an AWS Certified Welding Inspector. There are many resources available, including your local AWS Section and self-paced, online training programs like CWI Pre-Seminar the developed by AWS Learning. The CWI Pre-Seminar is comprised of seven comprehensive online courses designed to prepare participants for the extensive body of knowledge reviewed in the live, 5-day AWS Certified Welding Inspector Seminar. Each self-paced course is divided into short, interactive modules with quizzes, tests, and learning activities that map to the skills and knowledge points needed to become a CWI. Register for the Certified Welding Inspector Exam through the online AWS Registration System. (Optional) Once a candidate has met the exam requirements, they simply have to pass it. Prior to doing so, some candidates realize they can benefit from taking a prep course to strengthen their knowledge and skills. The live, 5-day AWS Certified Welding Inspector Seminar reviews the body of knowledge required of a CWI and prepares candidates for the CWI exam given at the end of each seminar week. The Seminar includes on-site books and a 3-year AWS membership. Take the CWI Exam. The exam is split into three parts: A, B and C. Part A is a two-hour exam consisting of at least 150 questions covering all facets of welding processes and non-destructive examination. Part B is a two-hour exam that requires you to use visual inspection tools, plastic replicas of welds and a sample codebook to answer at least 46 questions covering a wide range of topics including welding examination and nondestructive test processes. Part C is a two-hour, open-book exam consisting of at least 46 questions designed to test your ability to locate and understand information in a code book. Successful participants must correctly answer at least 75% of the questions in each part of the exam. Once you complete the exam, you can expect your test results within 2 to 3 weeks. If you pass, a certificate and wallet card will be mailed to the address on file along with your results. If you find any discrepancies or have any questions, please contact AWS immediately.